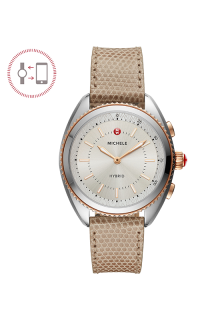 The beauty of a MICHELE watch meets the functionality of a smartwatch. 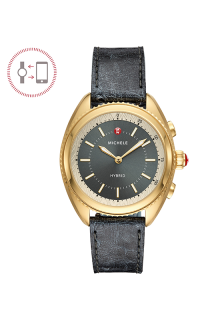 The hybrid smartwatch has the iconic features of a traditional watch, but includes fitness tracking, notifications, haptic vibrations for alerts and the ability to play music or take a photo-all from your wrist-by connecting to the MICHELE hybrid smartwatch app. 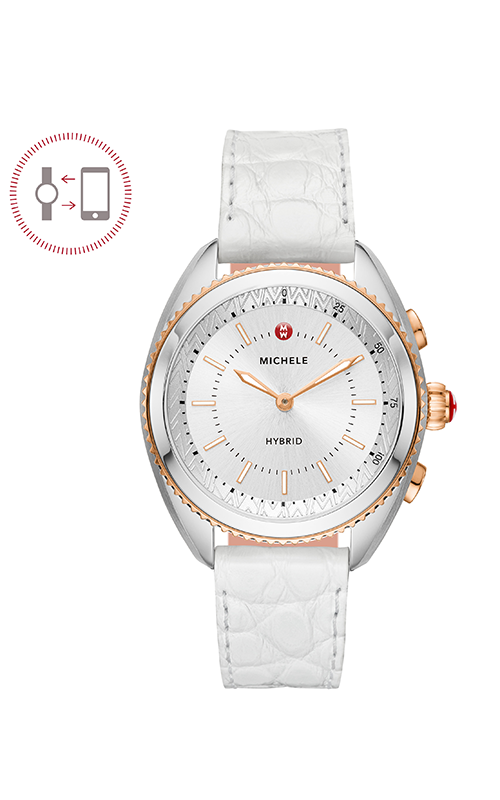 This two-tone rose gold-plated hybrid smartwatch is highlighted by a silver and white sunray dial with lum-filled indexes and hands and a coin edge bezel. The White Alligator strap is backed by logo-accented blush silicone.